FREE Samples: Mazama Hardwood - Smooth Acacia Collection Chai Beige / Acacia / Builders / 4 4/5"
Add a stunning new look to your home with the Mazama Hardwood Smooth Acacia Collection. Made from highly durable Acacia wood, this solid hardwood flooring offers natural shade variations that are sure to compliment a range of interiors - whether your personal design style is modern, country rustic, or somewhere in between, this flooring will enhance your space. With BuildDirect’s manufacturer-direct prices you can up your style game for less. Learn more about this solid hardwood flooring below. Unique grain patterns: featuring wavy, interlocking grain patterns and some knots, this beautiful hardwood flooring offers a subtle, yet dynamic appearance. 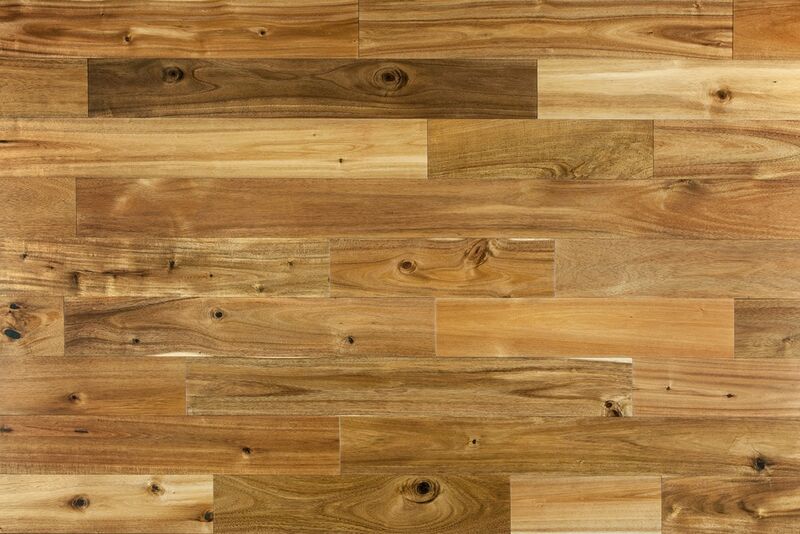 This product’s light stain allows the wood’s natural patterning to stand out. A smooth finish: these hardwood flooring planks are finished smooth, highlighting the Acacia’s natural character. 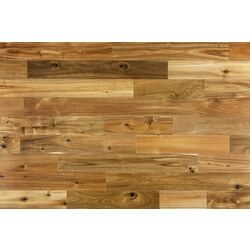 A very popular choice for homeowners, smooth finish hardwood provides traditional elegance. Enhanced durability: for lasting protection and more scratch resistance, this premium prefinished hardwood flooring is equipped with 7 coats of Treffert Aluminum Oxide Finish. Expert milling: this flooring is carefully crafted with micro-beveled edges, which allow for straightforward installations on leveled surfaces that are prone to small imperfections, or installation in older homes. Install using a nail down method. FloorScore® certified: this flooring is made from materials that comply with stringent indoor air quality emission standards to promote healthy air quality in your home. Post purchase support: Mazama is so confident in the quality of these floors they offer a 25-year finish warranty and a lifetime structural warranty for residential applications. Plank dimensions: these boards measure 3/4" Thick x 4 4/5” Wide x Random Lengths (12” to 48” long with an average plank length of 28”). We got the help we needed to get the job done. Thank you! I was very nervous and skeptical about ordering flooring online and purchasing something site unseen, but between the customer service and the delivery everything was very smooth! The product is beautiful and I love the way it looks!! I look forward to using Build Direct for home improvement projects in the future. The floors are beautiful and the color is amazing!! All the different grains and variations in the wood added the perfect touch to our home remodel!! I would definitely recommend everyone to Builddirect for their home reno needs and will certainly be using them again personally!! Thank you!